Pilates has become an extremely popular fitness class across the nation, and for a number of good reasons. Pilates not only focuses on strengthening your core, it can also help when it comes to building flexibility and balance as well. While you may not see these bodily changes after your first few classes, once you get into a Pilates routine, you will start to notice your body transforming before your eyes. At Core10 Pilates in Omaha, we’re proud to be a leading provider of beginner, intermediate, and advanced Pilates classes throughout Nebraska. We offer classes for all body types and fitness levels, and our trainers are certified in the latest safety and Pilates instructions. If you’re interested in learning more about our Pilates studio, sign up for a Free Intro Class or check out our list of Testimonials online! Why Sign Up For A Pilates Class? As the creator of Pilates, Joseph Pilates was certainly onto something when he said that Pilates is a one-stop shop for getting fit. Since Pilates utilizes a variety of stretches and movements to help build muscle, this physical activity has proven to be as effective as drug protocols when it comes to treating conditions such as diabetes, depression, and heart disease. It is often used by dancers and athletes to recover from injuries and also to prevent the recurrence of injuries down the line. From improved core strength to better posture and flexibility, Pilates classes offer a number of benefits to both men and women. Let’s take a look at some of the common reasons why people sign up for a Pilates class. While Pilates training was specifically designed to focus on core strength, it’s actually a wonderful full-body workout. When you sign up for a Pilates class, the movements and exercises you go through will promote strength and muscle development throughout all areas of your body. From your calves and thighs to your shoulders and forearms, Pilates can help you tone and shape your body for a more confident and more beautiful you! If you’ve never signed up for a workout class, you may feel intimidated when it comes time to sign up for a Pilates class. Pilates classes are great because virtually anyone can sign up and partake in the benefits. It doesn’t matter how much you’ve worked out in the past or how much weight you can bench-press, all that matters is that you show up and do your best. With thousands of different exercises and modifications, your Pilates workout can be specifically tailored to your individual needs. If you live in Omaha and you’re looking for a Pilates studio, be sure to visit Core10 Pilates. 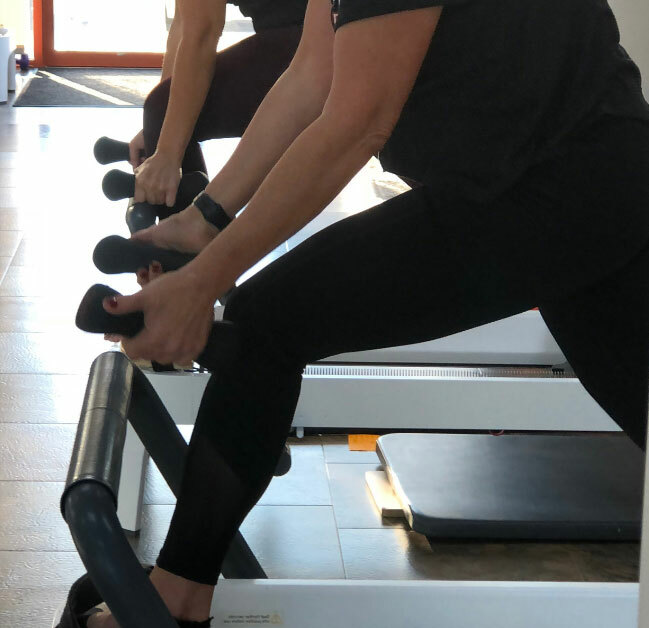 We offer affordable pricing on all of our Pilates classes, and we even offer private sessions for those people who want a little more in-class attention. If you have any questions about our Pilates studio, contact us today! Since Pilates has a considerable amount of focus on the integrity of the body, signing up for a Pilates class on a weekly basis can do wonders for your flexibility. Instead of focusing on static and unmoving stretches like many workout classes do, Pilates focuses on body movements while stretching so you can increase your range of flexibility faster. As you can see, there are many benefits to making Pilates a part of your regular fitness routine. At Core10 Pilates in Omaha, we’re passionate about offering our members some of the best Pilates classes in Nebraska. Whether you’re brand new to Pilates or you’ve been practicing for years, we have classes for all ages, shapes, and experience levels.